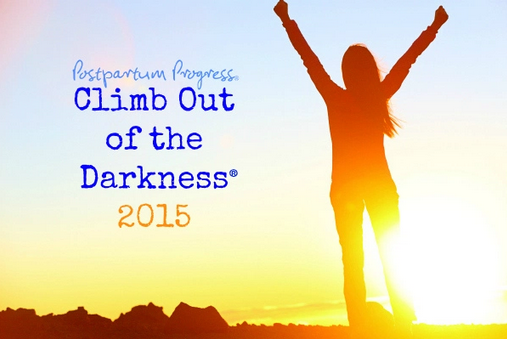 On Saturday, June 20th, 2015, Postpartum Progress will hold its 3rd Annual Climb Out of the Darkness event to raise awareness about maternal mental illnesses such as postpartum depression, postpartum anxiety & OCD, postpartum PTSD, postpartum psychosis, postpartum bipolar disorder, and pregnancy depression and anxiety. The Postpartum Resource Center of New York is honored to be selected as one of the recipients of the Climb Out of the Darkness 2015 Grant. Below is a list of Climb Out of the Darkness events in New York State that we are aware of along with links to their respective event pages. We encourage you to please join with a local Climb Out of the Darkness event in your area. Please note that if you are hosting an event in New York State and it is not listed below, please email us with the details and we will be glad to add it to the list you see here. June 14, 2015 - This event already happened, however, you can still support this cause by donating at the event page below.